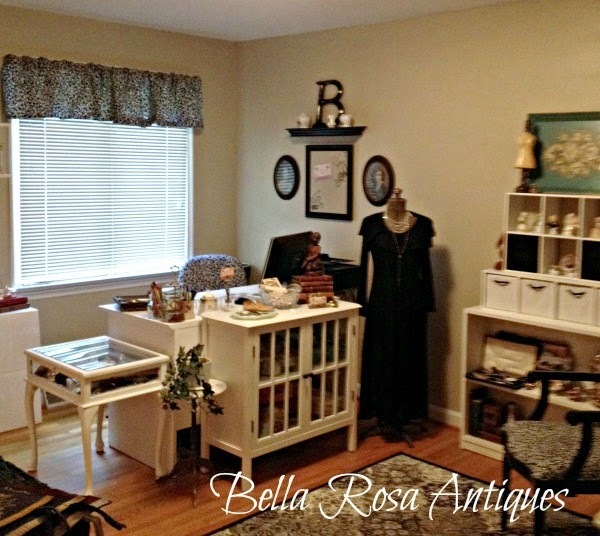 When Melissa of Melissa's Antiques asked me to take part in a multi-blog-post involving several other vintage guru's I thought "HOW FUN!" It should really be interesting to see how different we will be in our answers. It is also really difficult to narrow it down to 5 THINGS. I kind of grouped them into topics. 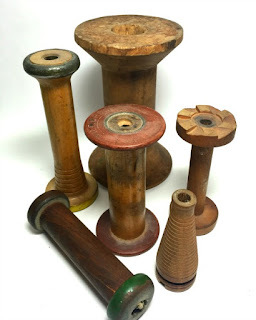 In the past, I was usually on the hunt for smaller, yet beautiful antiques. 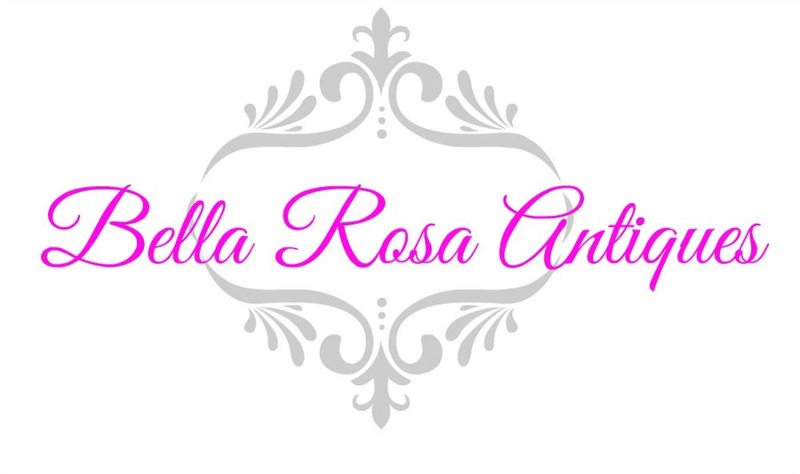 This theme fit perfectly into my "Bella Rosa Antiques" shop that I still have online here. Now that I have an actual brick and mortar shop, I am now being drawn to furniture. Anything from a chair to a dresser to something broken... it is all open season because we are repairing, transforming, and creating something beautiful and new out of it. 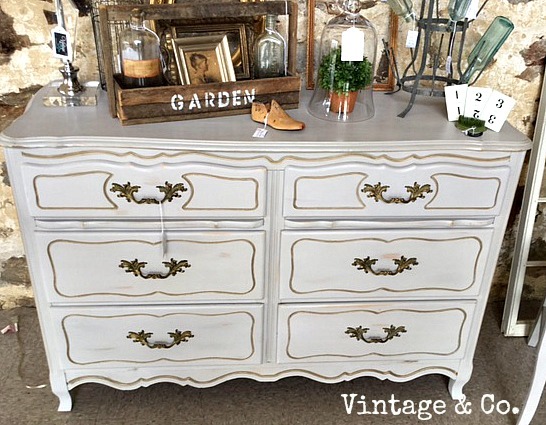 Dressers and vanities are popular pieces and sell well. Other than furniture I look for is age. When we stop at a yard sale at the crack of dawn (Okay, 7 am) we have to be super alert because there are always other dealers showing up and you have to be quick. Your eyes have to quickly scan the area and eliminate anything new. We have missed so many wonderful items because it takes us so long to get out of the house... the three of us! But, there is plenty to go around. I was reminded by a friend that the next ten years there is going to be a HUGE flooding of things into the market due to the baby boomers downsizing and / or moving into assisted living areas, etc. I have two Etsy shops to maintain besides the store. One is more "antiquey" while the other is retro. So I have to have dual themes/mindsets going on which makes it tough to narrow down 5 things. Let's face it, it is easy to ship and photograph. Anything small and sell-able is okay in my book. 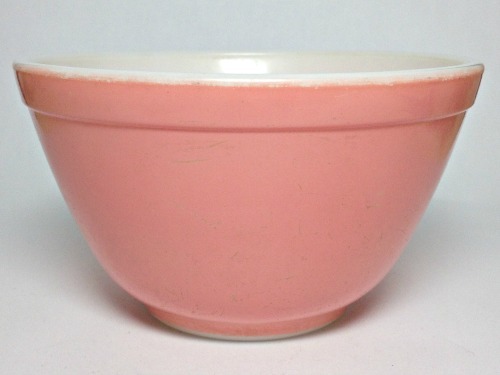 If I can narrow down the sale quickly enough, I am looking for Retro era pieces like Fire King or Pyrex. You can't go wrong with Pyrex. Well, color is a big factor. Aqua and pink are hot while maybe the brown is not. These Fire King mugs were a huge hit and I bought them at a yard sale just to have something retro for my Etsy shop. I soon discovered that they were LOVED by the collectors. 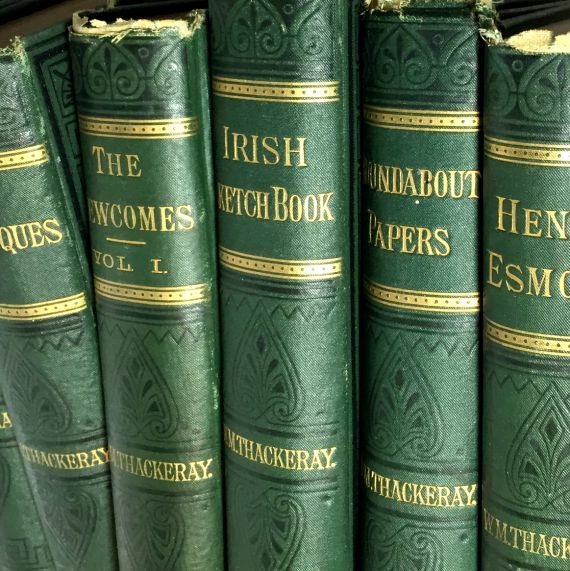 Antique Books! I love them and love to sell them. My collection grows each year but I'm slowing down a bit on the keeping part. Now I sell more books because I have discovered they sell very well! 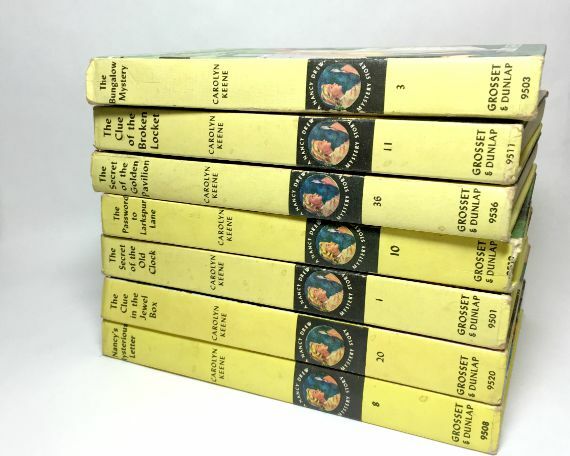 Even books from the 70's & 80's can be lucrative. new life into abandoned and forgotten lamps. Mid-Century lamps have done well for me in the past. A new shade, a new harp, finial or even re-wiring. That being said, I will pick up shades, harps and anything to help us the re-do process. 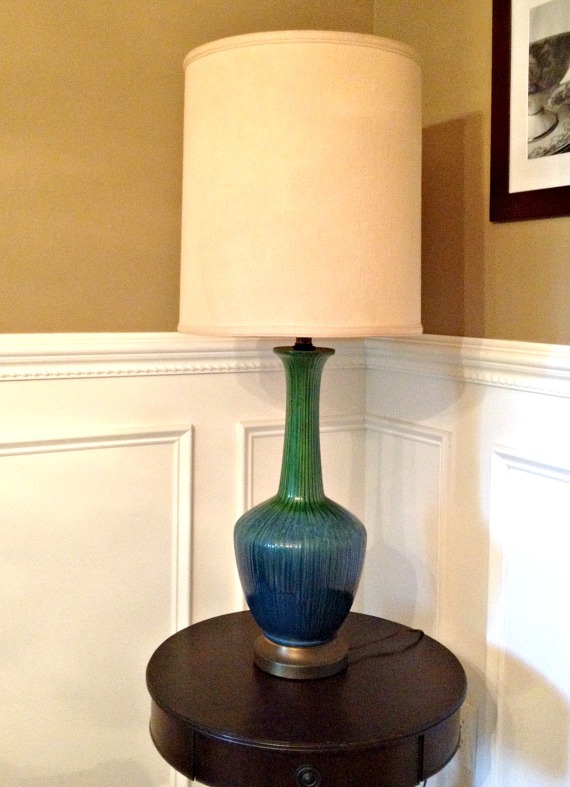 Once I found a pair of Lenox lamps that sold for about $150.00 a piece on eBay. I had no idea they would do so well. You can be sure I am always looking for another! 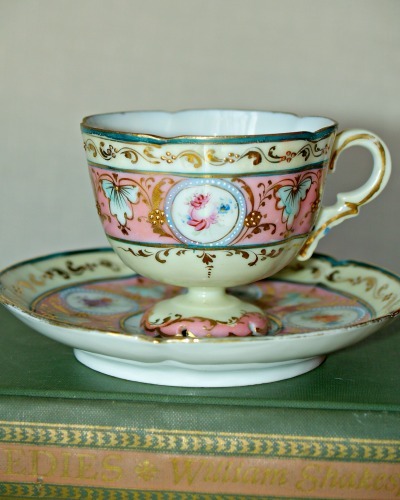 Teacups and other antique china. have the brick and mortar shop. Hope you enjoyed my perspective on yard sales. We also have to think like this at an estate sale as well. There you have to have the same mindset, but you are racing going from room to room looking to find any one of the above items before another dealer does. Ain't it fun? Of course it is or else we wouldn't be doing it! Be sure to check out and visit the other bloggers to see what they are on the hunt for. It is your mission if you choose to accept it! Great items on your list - love that you added runners-up to squeeze more treasures in. Love the industrial items and we share the love of books. Aww the runner up idea was brilliant--I had some in mind as well. The things on your list are all things I actively watch for, even if they didn't make my top 5 ;) Happy hunting! I like your runner up list. My original list had about 20 things on it so I had to narrow it down considerably. I wish furniture was on my list but I have to buy things I can manage mostly on my own. If it is a really good deal on an old piece I will enlist help. Love all of your choices...and I'd be hunting for those, too! 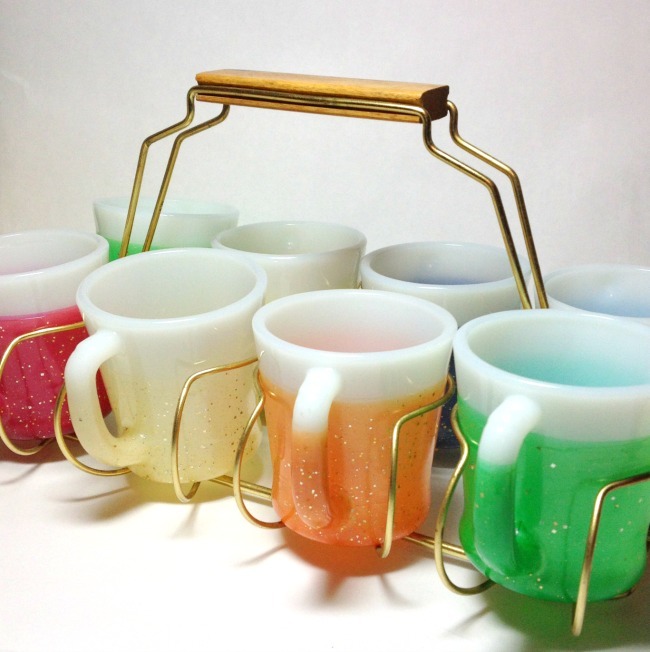 Those sparkly mugs are amazing! I'd love to find the Fire king mugs, but never seem to see those much around here. I'm so sorry about the links... I'm running on solo duty cause the hubby went on a trip....and today was a school fiekd trip. Will try to get them all late tonight ! Great list! You can't go wrong with the pastel Pyrex nowadays. What a wonderful list! I love everything you mentioned, and even though they didn't make my list I'm always looking for vintage Christmas, jewelry, and tea cups too. I wish I thought of a runner up list. It was hard narrowing it down to 5. I love the beautiful treasures you're looking for. 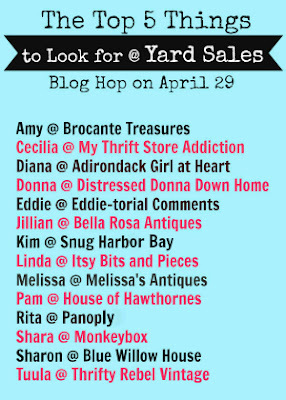 I'm going to a community garage sale tomorrow and as I look at everyone's posts in the blog hop, I keep getting more and more excited! Thanks for sharing. I love that you framed your list in terms of your shops, since I did the same thing too. Very nice choices. 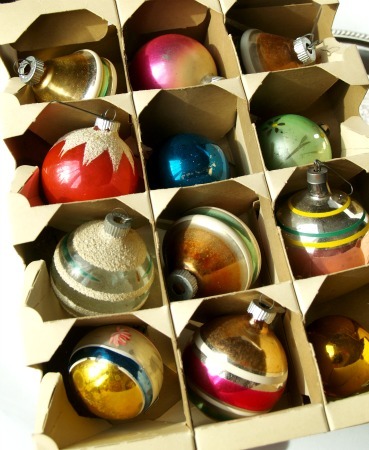 Who doesn't love a good hit of vintage Christmas? You always have such a good eye for finds! How is the shop going?? So fun I bet! 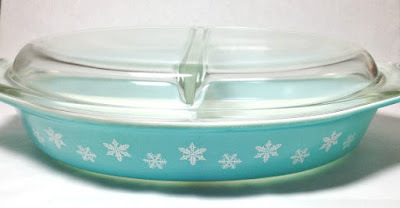 I'm going to be hunting for the turquoise Pyrex. Re doing kitchen in yellow red and turquoise. All good items, Jill, and all different from mine, even though I can definitely see your reasoning. I can certainly see you putting furniture on the top of your list, and I would be too if I was establishing a new home or shop! One of my sisters loves book, too, and I sort of gravitate toward lamps. 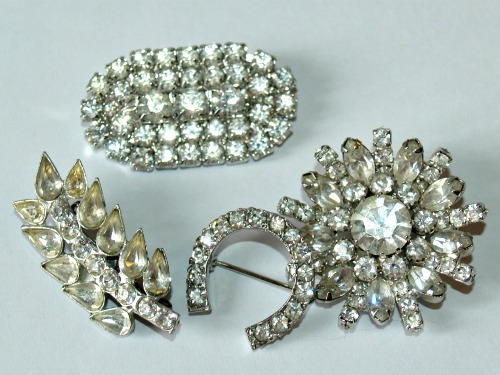 We've gotten away from jewelry, but only because we have a dealer right next to us in the mall who has pretty much a monopoly on that niche (she works at the mall regularly, so she can direct customers right to her stock). I'll still buy it for myself, though, when I find a great piece. Thanks so much for your tips!! I really enjoyed this post and now I am off to look at the other posts by the other participants!! Jillian, I enjoyed participating and seeing the other lists, like yours so much! Thank you for sharing @Vintage Charm!